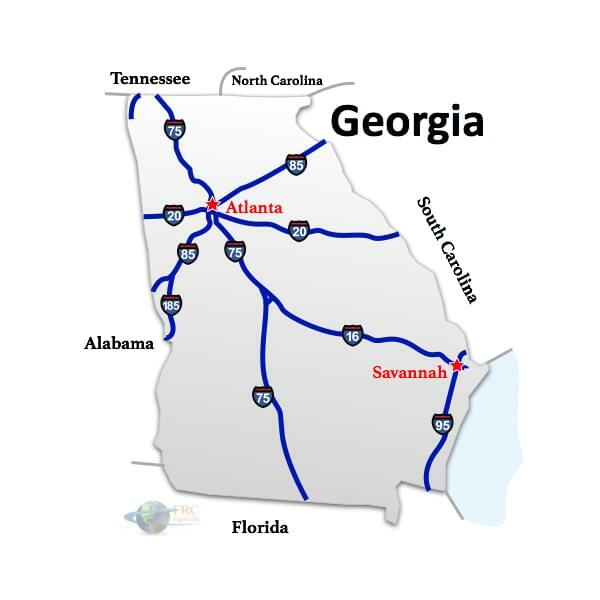 Georgia to Washington Freight shipping and trucking services are in high demand; Augusta to Tacoma is a very heavily traveled route. 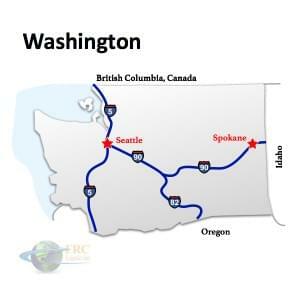 The Augusta, GA to Tacoma, WA route is a 2,798 mile haul that takes more than 42 hours of driving to complete. Shipping from Georgia to Washington ranges from 2,332 miles and 34 hours from Marietta, GA to Spokane Valley, WA, and over 2,864 miles and a minimum of 42 hours on the road from Valdosta, GA to Seattle, WA. The shortest route from Georgia to Washington is along I-90 W; however, there’s also a more southerly route that uses the I-80 W, traveling through Casper, Wyoming and Lincoln, Nebraska.